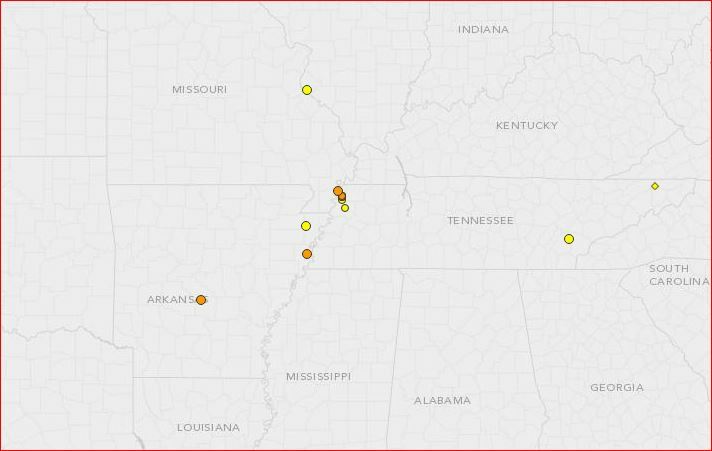 Since 24 hours, a swarm of 14 earthquakes is sweeping across Tennessee, Missouri and Arkansas, right in the New Madrid Seismic Zone. Is this series of quakes a sign for the upcoming megaquake along New Madrid Seismic Zone? The San Andreas and the Cascadia faults are well known for their potential to cause a megaquakes. 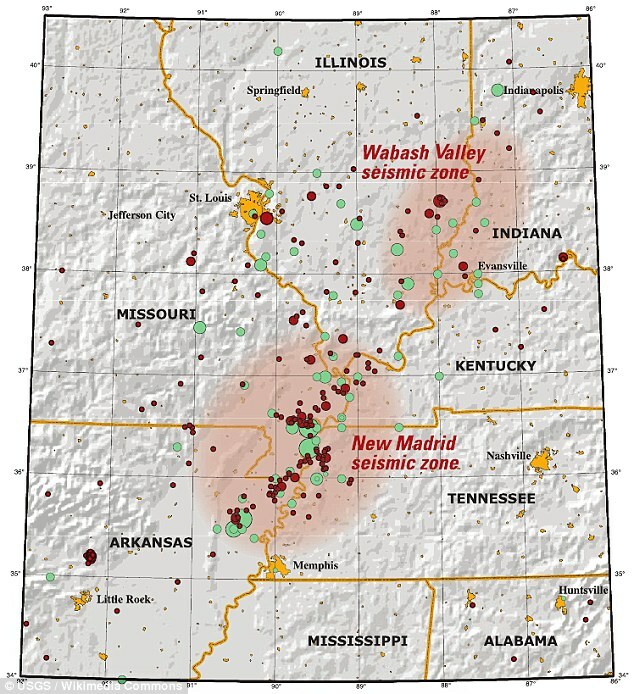 But the New Madrid Seismic Zone, a 150 miles long fault line crossing five states – Illinois, Missouri, Arkansas, Kentucky, Tennessee is also long overdue. It is southwest of the Wabash Valley Seismic Zone. The seismic zone is currently experiencing a series of 14 earthquakes. The swarm started on June 24, 2016 and is continuing presently. As shown, the quakes are centered around Ridgely, Tennessee, but reach Arkansas and Missouri. These quakes were preceded by 2 tremors on June 23, 2016 and 4 on June 21, 2016, mostly around Ridgely, Tennessee again. Here a map of the major fault lines in the US.